Do you ever feel like you’ve reached the bottom of your well… and it’s empty – seriously… not even a trickle remains? And that is the crux of the problem. Because when I say novelists don’t do “nutshell” well – I really mean it. Cuz we don’t. We do novels well – because that’s what we do. And those of us who do series well – well that’s a whole other ball park – because your “story” has just gone from 60,000 words to 180,000 words… and beyond (because we all know, not every series is a trilogy). So, what do we do when we “novelists” need to write a blog – well, we either ramble on for 200 words about absolutely nothing… Or we go on for about 2,000 words about something and only our most determined readers actually make it all the way to the end of our post. And since I have just passed the 200 word mark, and I don’t want to bore you to death, I’m going to stop here and let you go back to your day. Just know that you are not alone. All of us at some time or other, have difficulty coming up with things to blog about. That’s just life. Have a wonderful day, JC! 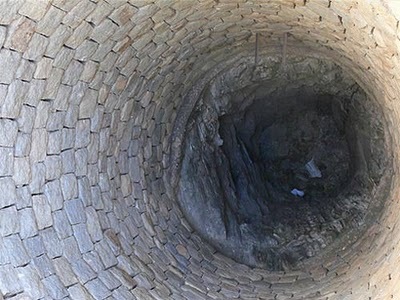 The bottom of your well will start filling up again. Hugs.